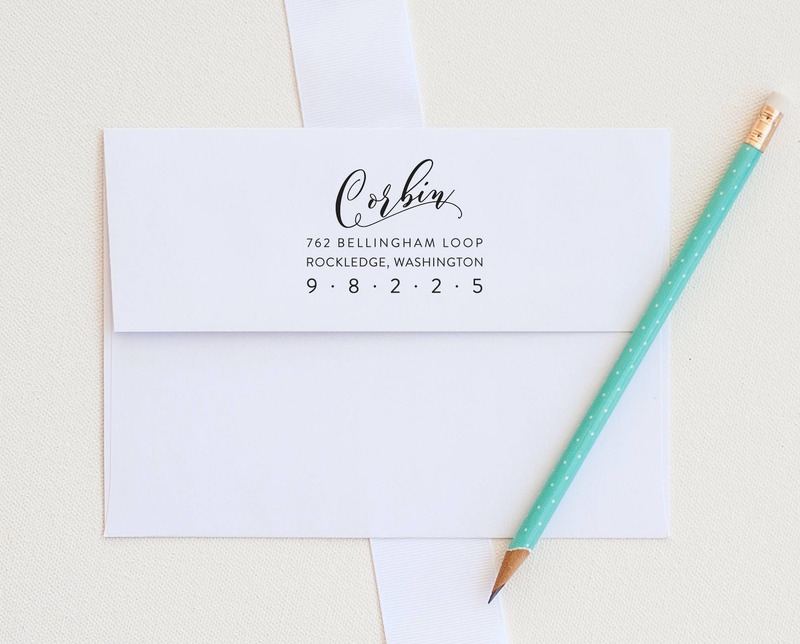 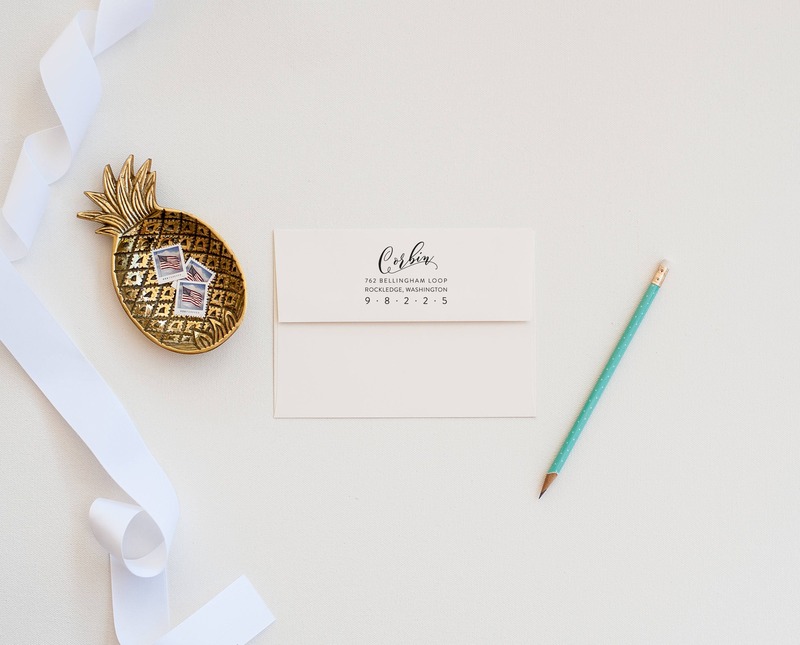 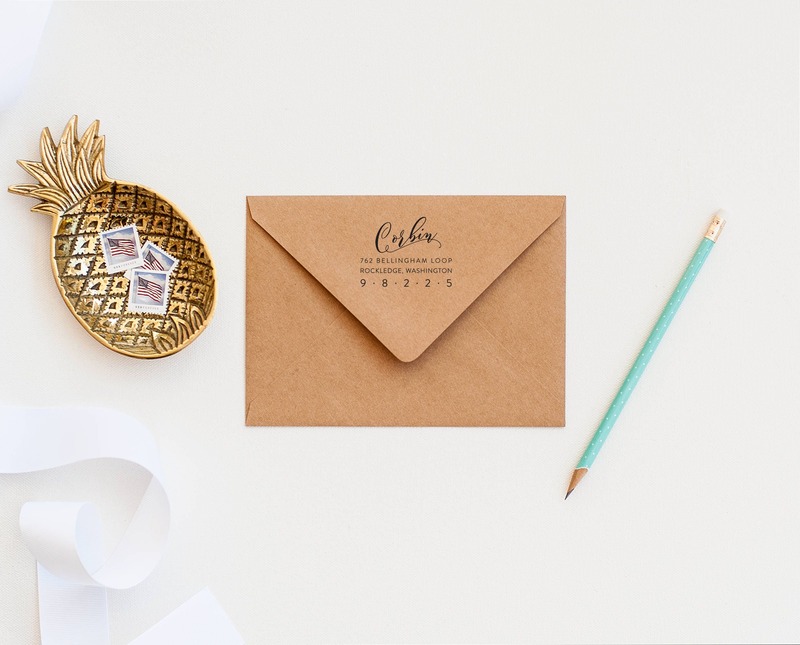 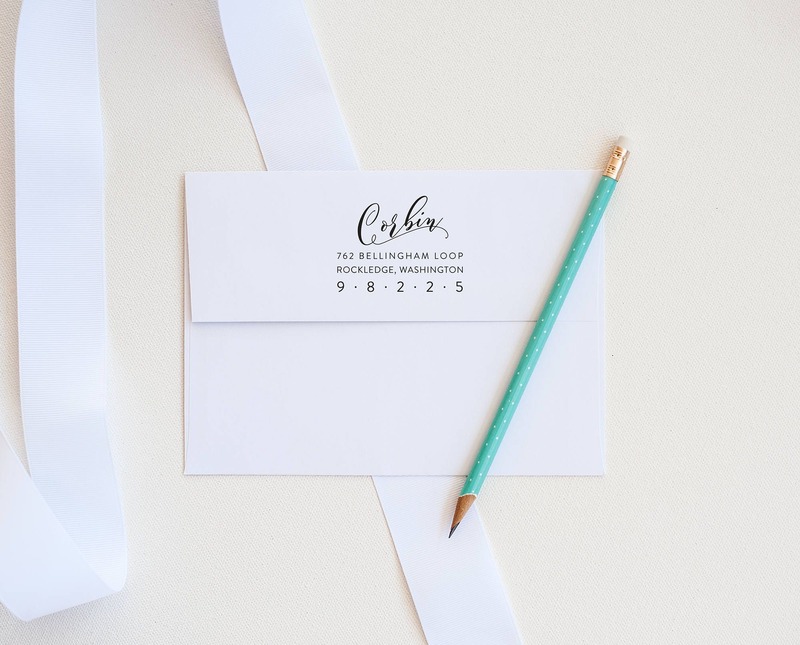 Add the finishing touch to your stationery with a fun modern calligraphy script return address stamp. 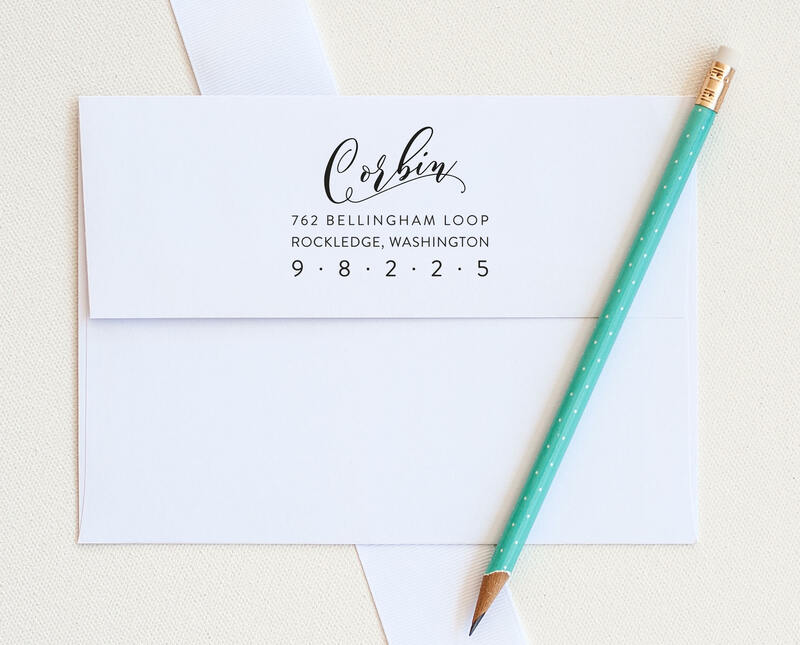 This stamp features bold style and easy to an easy to read address. 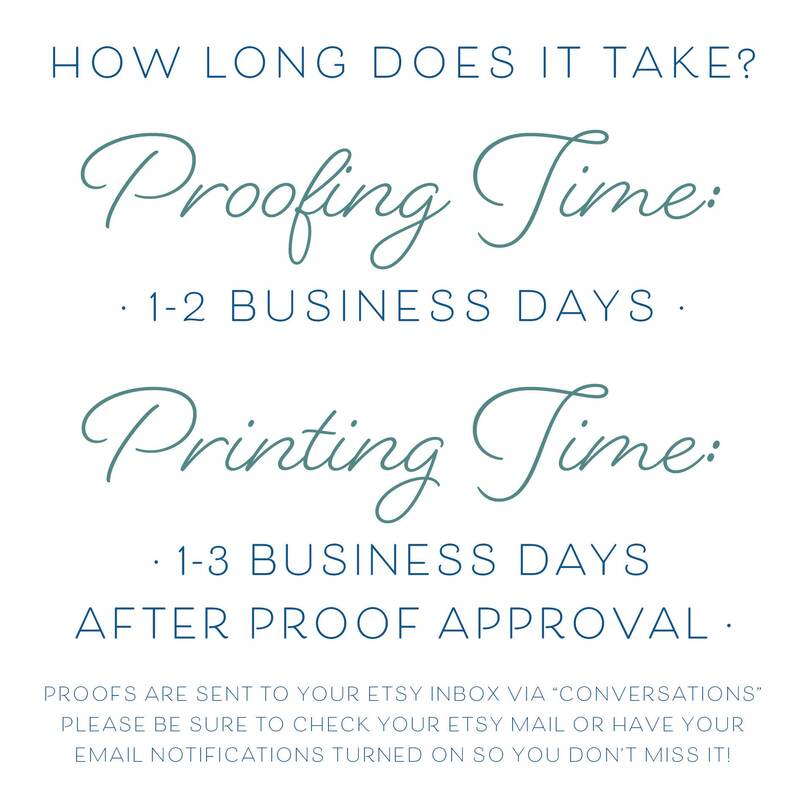 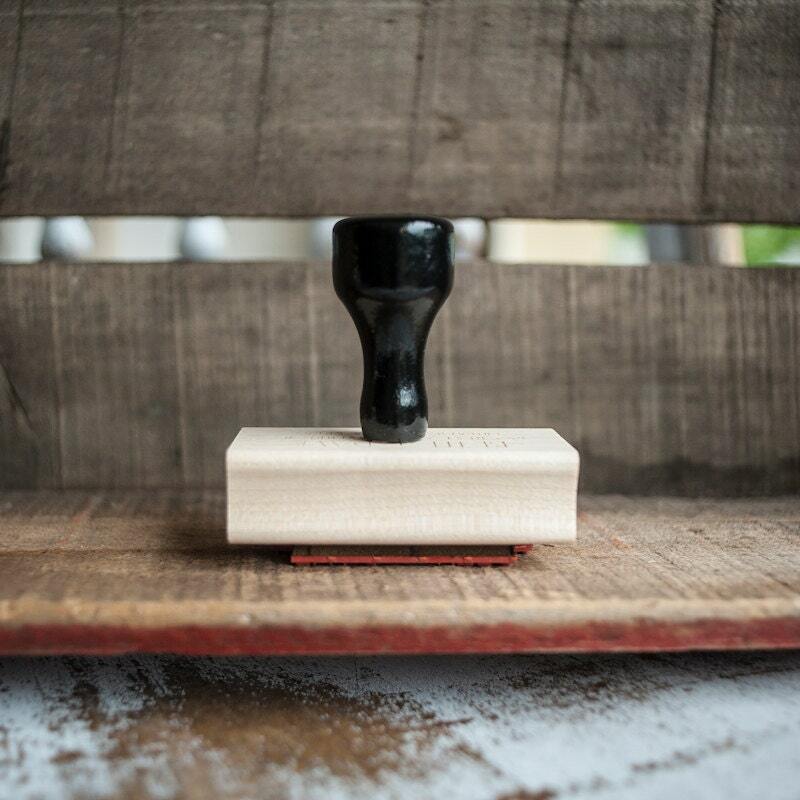 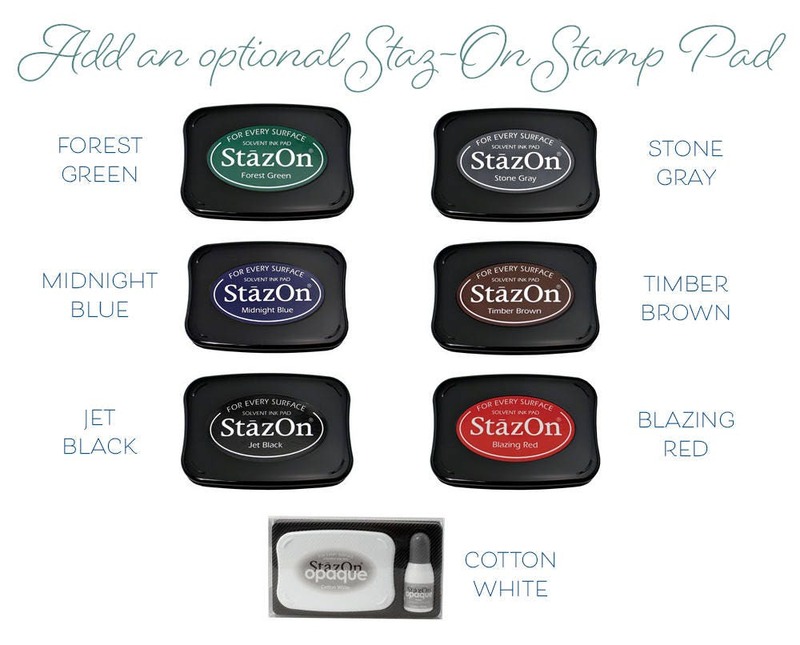 Each stamp is personalized with your information and typeset individually to order to ensure a beautiful result.